Hotel Seven Inn stays true to its name with a combination of rainbow colors in its decor. 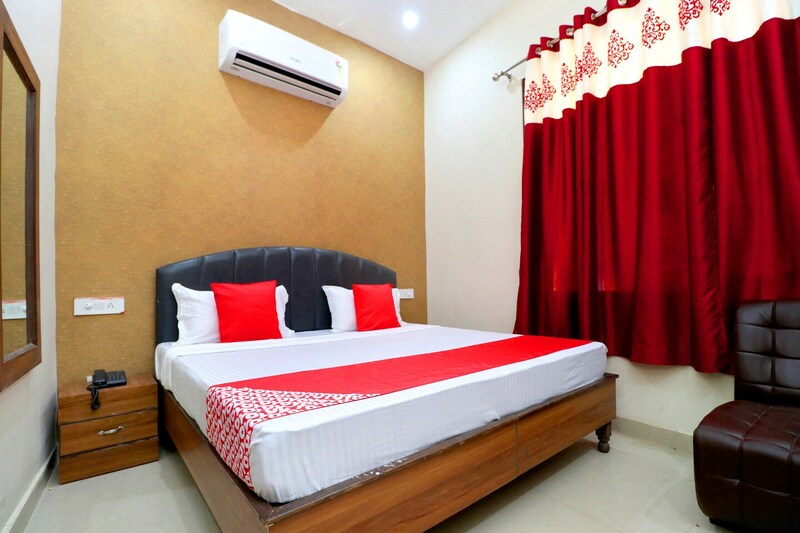 It is an elegant, modern, and pocket-friendly accommodation for the modern traveler assured to give a comfortable and pleasant stay. The spacious and vibrant rooms in this hotel are pleasing and designed to keep the comfort of guests as the top priority. The wall is adorned with abstract artwork. The wooden furnishings and decorated ceiling give a vibrant touch to the overall space. Various facilities are available to guests such as free WiFi, card payment option and parking facility. The dining area is spacious and available for guests to use.